Wool in the Woods | Knit Like You Mean It. Blogging from a backpacking trip with 14 year olds. It’s a little like having 12 Sherpas. But they don’t know how to, well, sherp. 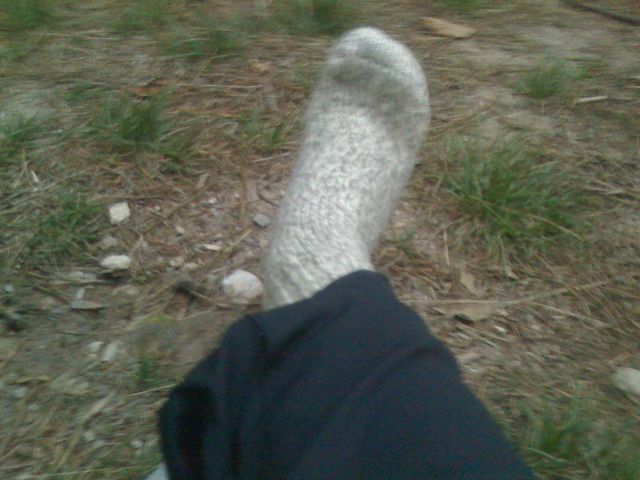 Not knitting out here, but I AM wearing fantastic 100 percent wool socks. With reinforcing thread in heel and toe!